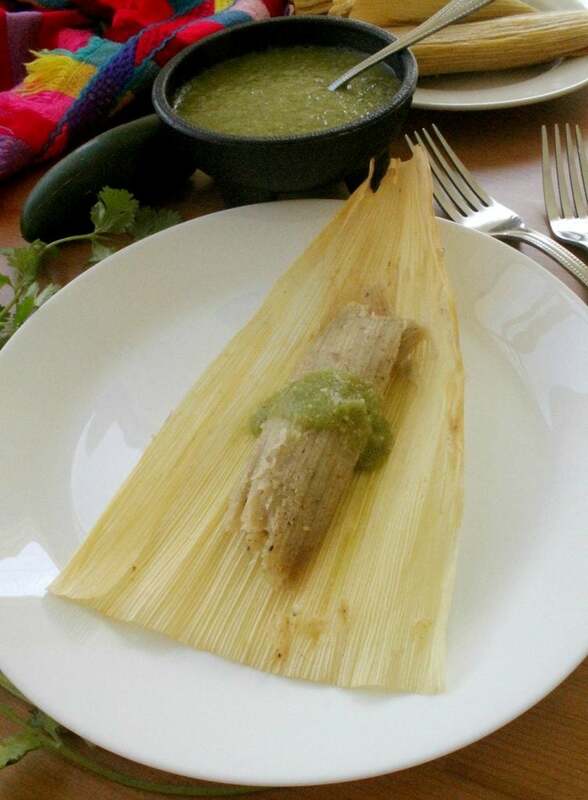 Taste the authentic Mexican flavors in these delicious Chicken Salsa Verde Tamales. Makes for a yummy family dinner. Enjoy! Put on those stretchy pants! 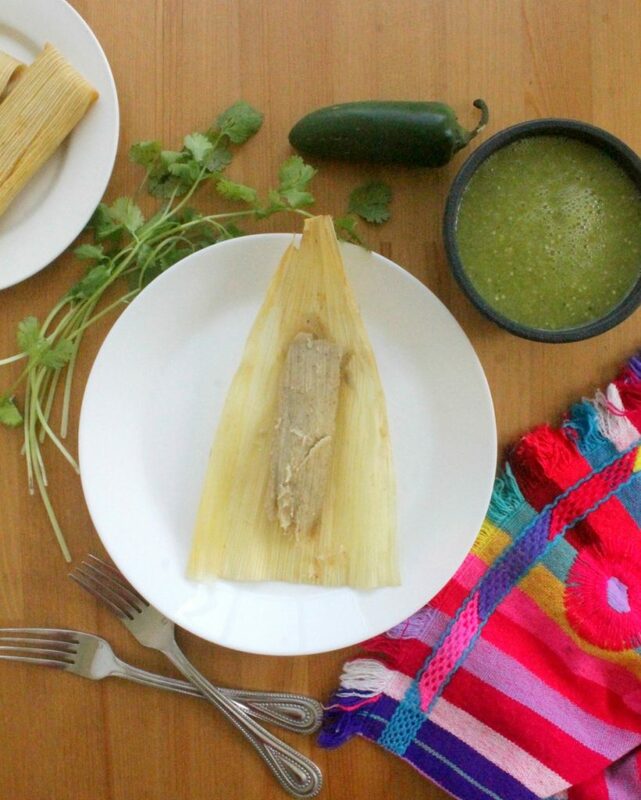 It’s the Holidays, and in Mexico, that means Tamales! It’s hard not to love these little wrapped goodies. They’re so tasty and so delicious. My max is 4. I might be able to eat 5, if they’re small. 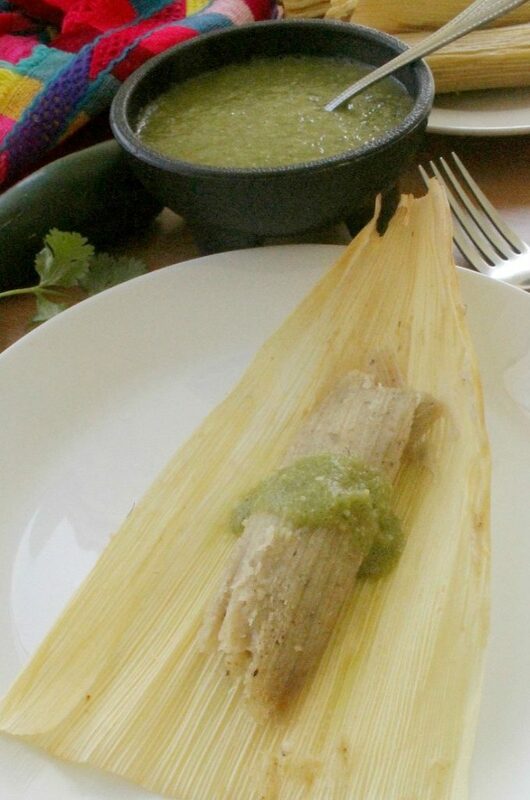 Chicken Salsa Verde Tamales has to be one of my favorites. Mainly because I find them easier to make than any of other kind. 1- Boil an entire chicken. 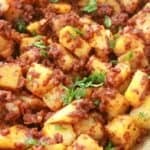 Use half for your dinner that night, and save the rest in a container in the fridge or freezer. 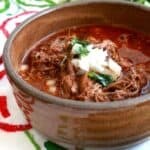 2- If you can’t make it from scratch, you can use a can of salsa verde. This ONE is pretty good . 3- You can buy a rotisserie chicken. 4- Got leftovers? 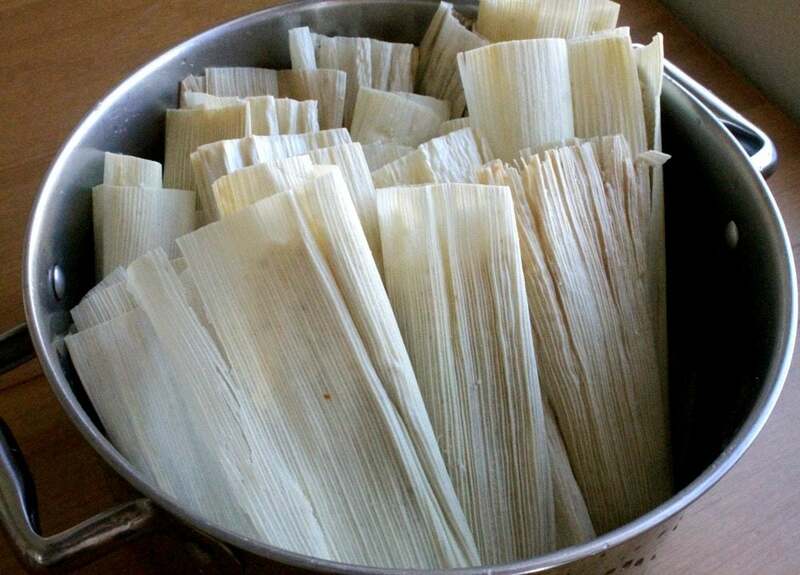 Freeze them for tamales. Cooked chicken can freeze for up to 4 months. 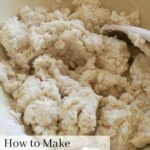 5- Don’t make your masa, buy it. For the filling, I find that sticking an entire chicken in a large stock pot is incredibly easy, and you also get chicken broth to put in the freezer for later use. Two thumbs up to that! Once it’s cooked, let the chicken cool. Then remove the skin and the chicken. Be careful with those bones! I remove the meat, then check it again for bones before I put it in the pan. Them bones ain’t welcome ‘round here. To the pan, add your salsa verde. Make sure the chicken is saucy. The more sauce, the better. 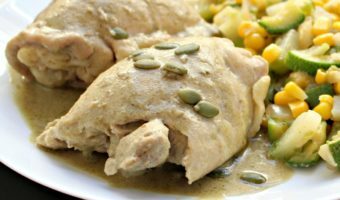 No one likes dry Chicken Salsa Verde Tamales. Let this come to a simmer then set aside. Before soaking, separate the corn husks. See how they like to stick together? Also, remove all the corn hairs and any debris. Free of debris – you and me (and the husks as well). Soak the dry corn husks in warm water. Those suckers like to float yet I’ve never seen them do the backstroke.. That’s why I put a lid on the corn husks to make sure they get damp. 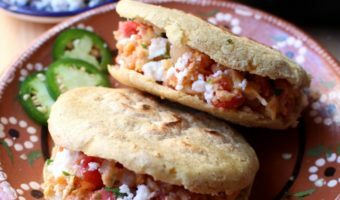 Making your own masa at home is easier than you think. 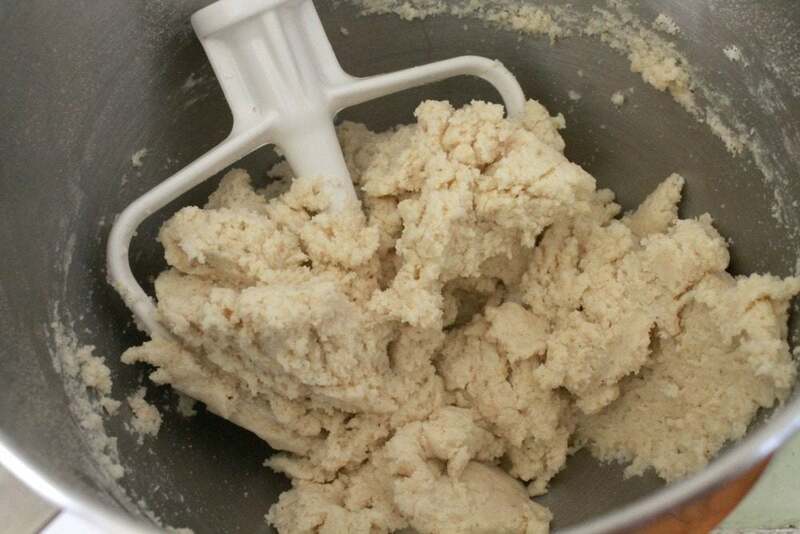 Most grocery stores nowadays sell the essential masa harina to make masa. Or, if you’re lucky enough to live near a Mexican grocery store, you can save some time and buy it already made. Now with your masa done, your filling done, your corn husks damp, time to assemble. This is no Henry Ford automated assembly line. Assembly requires hands. 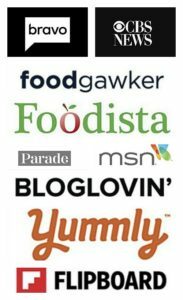 Get the kids, the neighbors, friends into the kitchen. Then lock the doors. LOL. No escape until the tamales are done! Now set inside a large steamer or a large and deep pot . If you are using a large pot instead, add corn husks to the bottom and plenty of water. I usually check them after an hour and add more water. 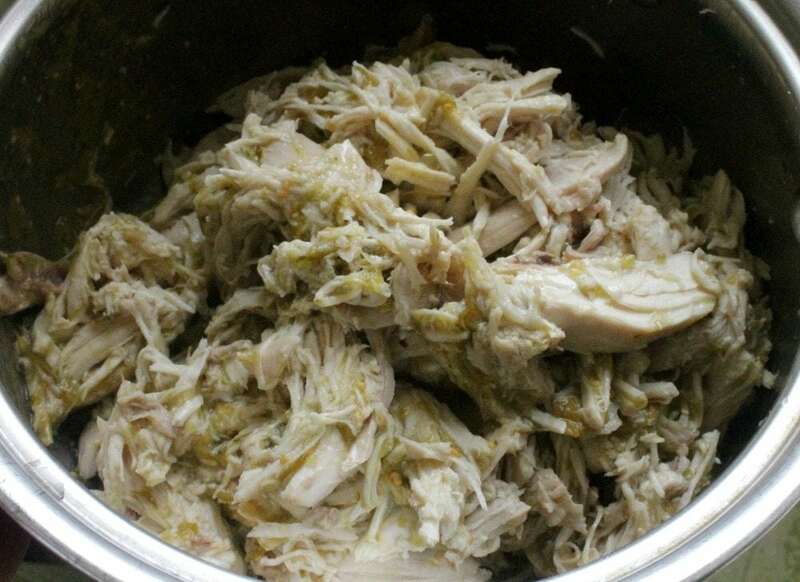 Cover and steam the Chicken Salsa Verde Tamales for 1 ½-2 hours. 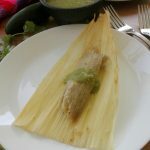 The tamales will be ready when the masa peels away from the corn husks easily. 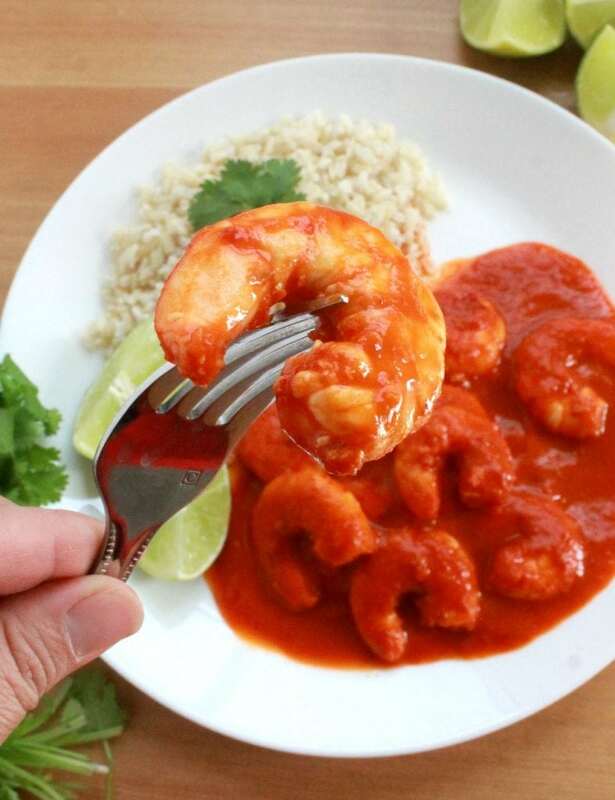 Serve with more yummy salsa verde. Enjoy! Rinse chicken and remove any gizzards from the inside. 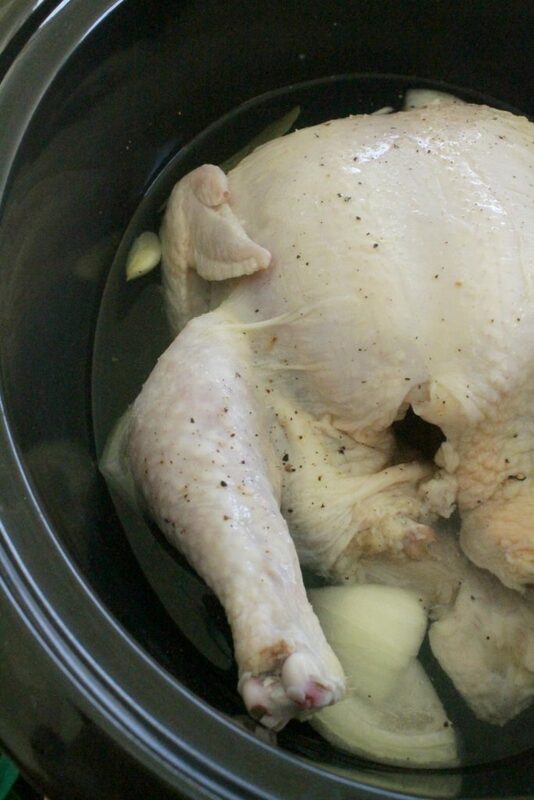 Place chicken in a large stockpot. Add garlic, bay leaf, onion, salt and pepper. Then add enough water to almost cover the entire chicken. Reduce heat and cook for 45 minutes. Remove chicken from the pot and let cool. Strain the liquid and set aside for another recipe. Once the chicken has cooled, separate the meat from the bones. Add chicken and stir to combine. Bring to a simmer and cook for 10 minutes. Turn heat off and let cool. Soak the corn husks in a warm water for 30 minutes. Smear a thin layer of prepared masa on each corn husk. To the middle of the masa layer, add a tablespoon of the chicken filling. 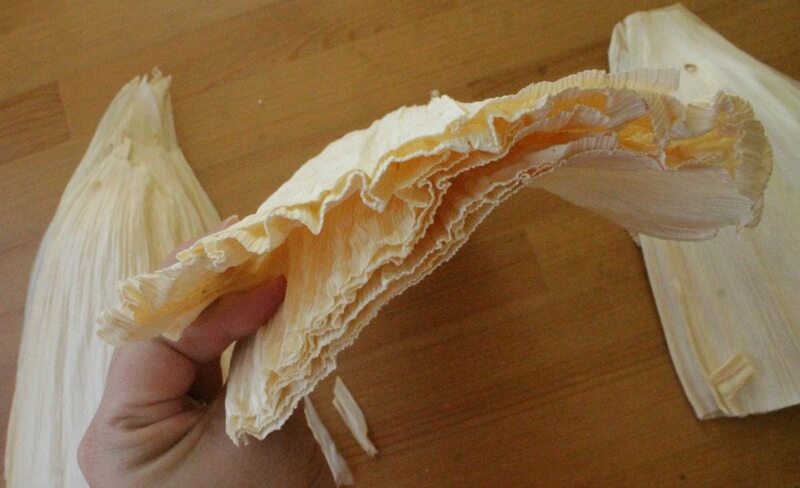 Fold one side of the corn husk in. Fold the other side in. Fold the pointy top to the center of the tamale. Repeat until there are no more corn husks left. Add some corn husks to the bottom of a big pot or steamer. 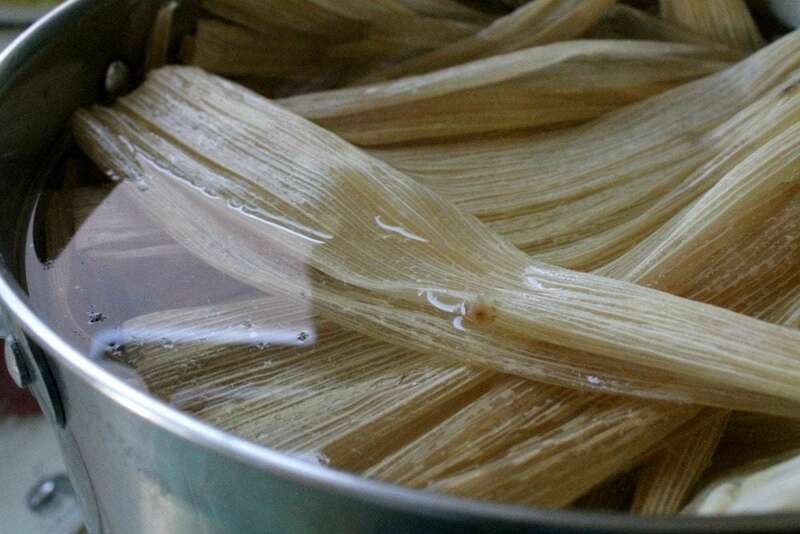 Place all the uncooked tamales to the pot. Add 2 cups of hot water. Cover and cook on low for 1 ½ to 2 hours, or until the masa peels away from the corn husks easily.